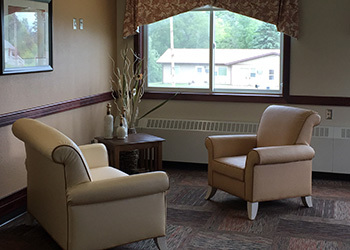 We provide compassionate and personal 24-hour skilled care and rehabilitation services in a comfortable and homelike environment. Our specially trained staff works daily with the struggles and hardships of Alzheimer’s. Our small 12-bed community allows an environment conducive to minimizing behaviors and allowing residents to eat, sleep, and wonder wherever and whenever they choose.